Today, we’re offering a quick recipe to make your own homemade vanilla sugar (sucre vanillé). Many French dessert recipes call for vanilla sugar but it is not always easy to find it in a grocery store. At Art of the Home, we prefer to make our own. It’s all natural, more cost effective than getting them at a gourmet grocery store, and only takes a few minutes to prepare. Check out our easy Art of the Home recipe and Art of the Home suggestions below. Enjoy and happy baking! In a mixing bowl, using a muddler, muddle vanilla bean bits and sugar. We use a muddler but you can also use a mortar or a food processor. Pass through a sieve or strainer and store in an airtight glass container. Use your homemade vanilla sugar instead of vanilla extract when making crêpes or pain perdu (French toast). Use vanilla sugar for your tea, coffee or in a plain yogurt for a gentle vanilla flavor. Type of vanilla beans: we do prefer the vanilla beans from Madagascar (located in “La Réunion”, a French island along the Indian Ocean – used to be called “Île Bourbon”). 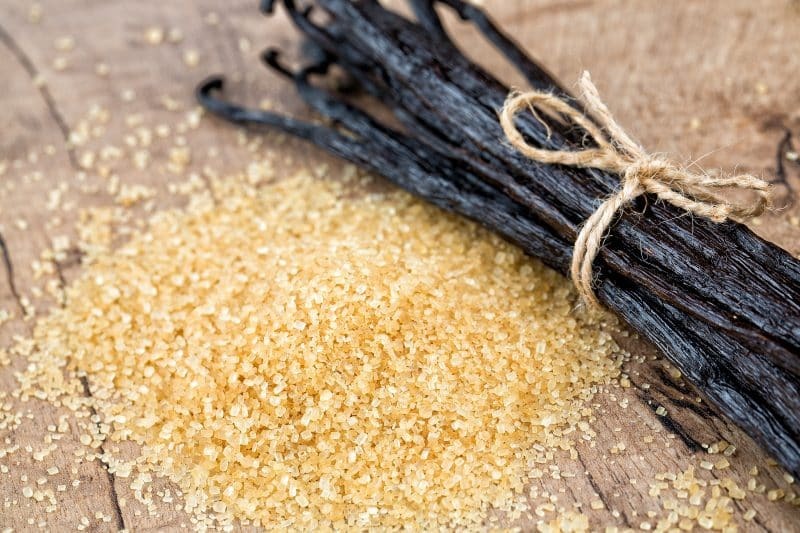 The Bourbon Madagascar vanilla beans (or simply Madagascar vanilla beans) have a richer flavor than other types of vanilla beans. We use them all summer long to make our Madagascar vanilla ice cream so we buy our Bourbon Madagascar vanilla beans in bulk – it’s a great deal. But you can also get them in lower quantities (Bourbon Madagascar vanilla bean: 7 beans), both options ship for free on Amazon. Different sugars: you can use different varieties of sugar – brown sugar or cane sugar for example. Bigger jar: if you want to make a bigger jar, double up. You should count 1 vanilla bean per 2 cups of sugar. Below is a French commercial for a popular store bought vanilla sugar — hope you enjoy the dance of desserts!